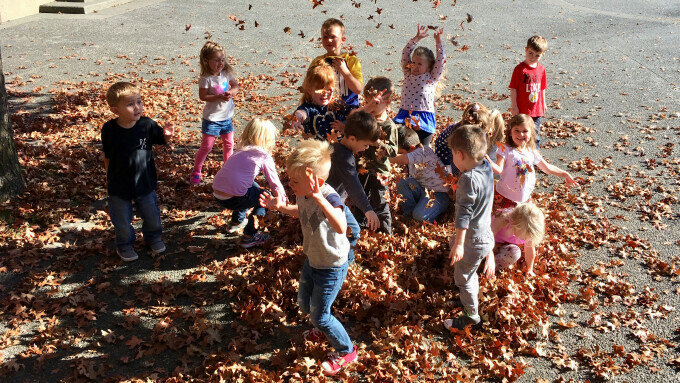 The mission of First Steps Preschool is Safe, Loving, Fun. These words may seem simple, but they are packed with purpose. Safe: safe is defined as being without injury, risk, or danger. Yes, that is exactly what we provide to our utmost abilities for all our children, however, to feel safe is to also know that you are emotionally secure. A child needs to feel both physically safe and emotionally safe so they can learn to their potential. Loving: children have an amazing ability to sense love. True, genuine, unconditional, and purposeful love. Every morning before welcoming the children into our classroom, our teachers pray that we will love each child to our utmost ability. To love them exactly as they are fearfully and wonderfully created to be. Fun: who doesn't want to have fun? Preschoolers know how to have fun, and how to sing and dance without inhibitions. They know how to be constantly in awe of God's amazing creations as they discover the big and small wonders of the world. Joy for a child can be reaching the last monkey bar, completing a puzzle on their own, or playing in a pile of crunchy fall leaves! Experiences like these are the foundations to successful future learning. Don't underestimate the importance of early childhood education. It has tremendous value and impact on young lives. During the month of February, First Steps Preschool will be holding registration for classes that start in September 2019. Returning families can register between February 1st and 15th. Registration for new families will take place on Saturday, February 23rd at 9:30AM in the First Steps classroom (room 106). For information regarding our program, fees, or schedule, visit our website or email First Steps.